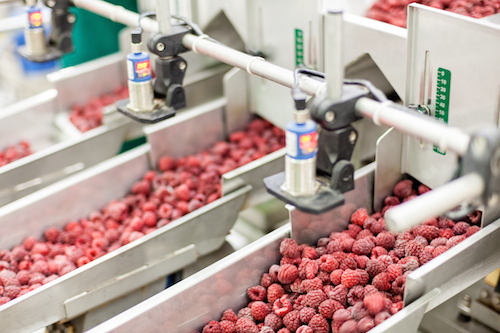 Serving the industry since 1949, IBT has been helping keep food/beverage processing plants running. In an ever-changing industry that demands uncompromising standards of safety, sanitation and performance, IBT is at the forefront of innovation and customer service. 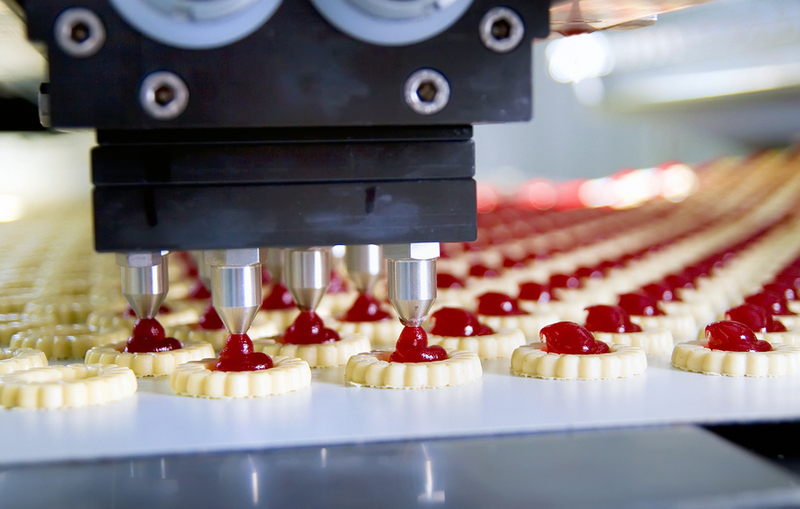 IBT offers end-to-end solutions for the food and beverage industry. processing productions run smoothly and more efficiently, we know health and safety are a top priority. We provide our customers with the solutions they need to maintain FDA and other stringent regulatory compliance, while bringing waste to a minimum. We believe in getting it right the first time. Save money and time with fewer replacements and repairs. Whether it’s stainless steel, washdown-ready or corrosion resistant materials, IBT will supply you with quality products that require minimal maintenance. We’ll also help you find just what you need to decrease the risk for contamination, which can occur anytime throughout: production, processing, distribution or preparation. Food-Safe. 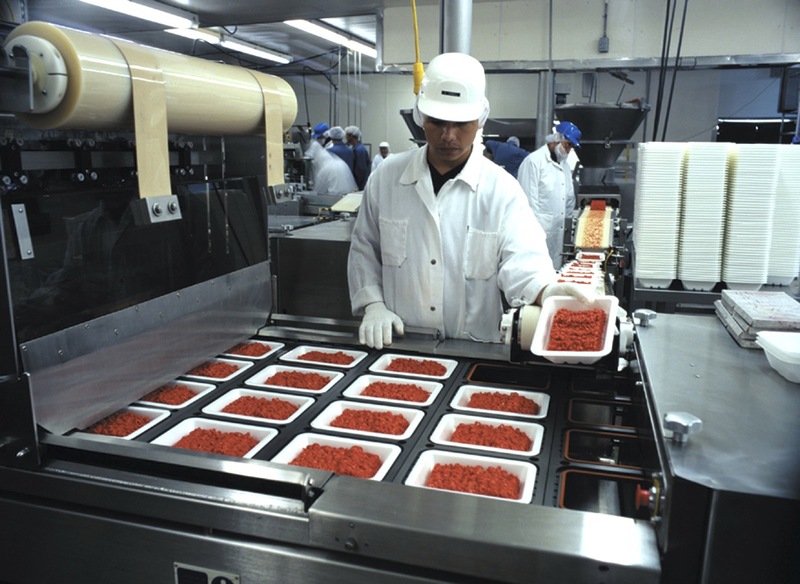 IBT utilizes vendors that supply high-quality, food-grade equipment that performs well under pressure. We have excellent lubricants that will not contaminate the food, but will still perform at a high level. Washdown-Ready. With the constant washdowns required by the food and beverage industry, equipment tends to get rust, mold, or mildew, the cleaning chemicals are very aggressive on steels, beltings, and alloys. To remedy this, IBT stocks up on equipment and parts that use stainless steel, special coatings, and anti-microbial additives. Available 24/7. 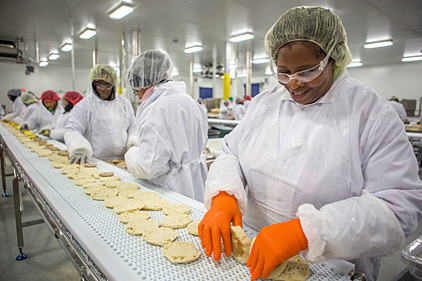 Round-the-clock service is critical for food and beverage processors who are pressured to produce goods constantly. We are here to solve problems and provide operational solutions day or night, for any customer. Whether it’s to help with a breakdown, provide a part, or install a conveyor belt, we’re available 24/7. Bearings – Maintain sanitation standards and provide superior resistance to corrosive damage. Hydraulics – Find a wide selection of hydraulic seal options for every application—with a large inventory of parts. Gear Reducers – Solve the challenges of high-pressure washes, high temperatures and caustic cleaning chemicals. Lubrication Systems – Food-safe H1 grade lubricant to accommodate every application. Conveyor Belting – Keep your product protected and increase productivity, while being flexible enough to work with various parts of the line with as little downtime as possible. Industrial Food Grade Hose – We can custom finish complete hose assemblies to your exact specifications. Safety Products – Find Level A chemical protective gear to help protect workers against the ammonia present in industrial refrigeration systems. Find more of the products you need under: Material Handling, Electrical Motors and Components, General Industrial Supplies and Power Transmission. Contact IBT Industrial Solutions and learn more about how we can service your food/beverage processing plant today.